Say Hi to the Washapp it’s time to enjoy free laundry ! We are your personal dry cleaning and laundry pickup and delivery service who delivers to you, at a time and date that suits you the best. Totally customizable for your needs and schedules!! Washapp is the easiest, quickest, and most convenient way to do your laundry. All you have to do is tap few buttons - it just takes seconds! We want to rid you of one of the most boring chores, laundry. Just think about it, no more wasting time on the weekends with washing, ironing, queuing at the cleaners on High Street. You should be spending time on the things you really love whether that’s being with friends or family in the beautiful surrounding of Sri Lanka. Founded in 2017, we follow a dream and we aim to serve our customers in a way that far exceeds expectation. Washapp leverages on mobile technology and innovation to create efficient, convenient and hassle-free solutions that complement and enrich your modern lifestyles. Our highly efficient employees ensure you face no difficulty, the technology we use is state of the art and the service we provide is incredibly good. We strive to make service easy for you so that there is a long term partnership between us. The way the clothes are carefully cleaned, folded and packaged shows the painstaking way in which our efficient employees tend to wow you. Most importantly, the services are affordable and don’t pinch your pocket as we charge reasonable rates. You can place your order with the Washapp laundry App or right here on the website. Just book convenient pickup and delivery times that suit you best and our agent will collect your items from your preferred location. Our laundry pick up service is perfect for those who live very busy lives and want to enjoy the vibrant life of Colombo. Washapp can be booked across Colombo in the boroughs of Colombo 03, Colombo 04 and Colombo 07 at its 01st phase. We are expanding to other cities of Colombo in coming months. Try Washapp today and make laundry day a thing of the past! 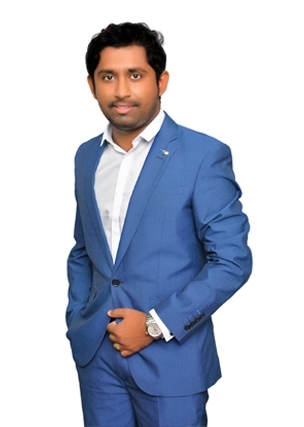 Kalhara Hapuarachchi is the Founder of Knines Group – an Investment & venture capital group based in Colombo, Sri Lanka, that incubates and invests in breakthrough companies in, on demand economy, e-commerce, mobile and enterprise software, sharing economy, tourism, services, manufacturing and trading. He believes that Diversification is the key to success. Having operated at every level through his professional career, Kalhara is now the Founder & CEO of Washapp, redefining the future of the on-demand digital ecosystem. KH is also the Chief Admin Officer and Board Director of Eu-Retec, a leading manufacturing firm in Sri Lanka who produces new and remoulded solid tires, rubber tracks and Inner/Bogie wheels, with German investor Continental AG as its joint venture partner, the No.01 tire manufacturer in Europe and 04th in the world. In addition to those leading positions, KH is also a Group Director of SPA Group of companies. The group has business interests in Sri Lanka, United Kingdom, Germany, The United States, Italy and France. SPA is into Corrugated and Poly Packaging (KSPA Packaging), Manufacturing of Garment hangers and accessories (KSPA Accessories), Manufacturing of Industrial tires (Eu-Retec), Hydro Power Generation (Eagle Power), Recycling of waste materials (Recyplas-UK) and trading of heavy machinery. Prior to current lead roles, Kalhara was a Credit Analyst at Seylan Bank PLC, Sri Lanka, where he spent six years in various Bank Operational and marketing roles. Kalhara completed his studies in Business Administration from NCC Education University, Manchester, UK parallel to his Business management studies at Informatics University, Singapore. He cites Alibaba's founder Jack Ma, The Social+Capital Founder Chamath Palihapitiya and Anurath Abeyratne, a renowned entrepreneur in Sri Lanka, as his inspirations. Outside of being a serial entrepreneur, he enjoys music, traveling and Landscape photography. 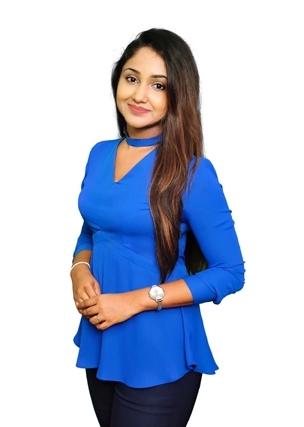 Sonali Abeyratne is a Sri Lankan women entrepreneur and Board Director of Washapp. She is also a Group Director of SPA Group of companies. The group has business interests in Sri Lanka, United Kingdom, Germany, The United States, Italy and France. SPA is into Corrugated and Poly Packaging (KSPA Packaging), Manufacturing of Garment hangers and accessories (KSPA Accessories), Hydro Power Generation (Eagle Power), Recycling of waste materials (Recyplas-UK) and trading of heavy machinery. Sonali completed her studies in Business Administration from NCC Education University, Manchester, UK parallel to her Business management studies at Informatics University, Singapore. As an investor, Sonali has plans to make investments across the rapidly evolving industries such as digital entertainment, Fashion, in the near future.